As of 10:30 p.m. EDT (0800 Indian Standard Time), the Indian Space Research Organization (ISRO) became the fourth space agency to successfully place a satellite in Mars’ orbit. The Mars Orbiter Mission probe launched on November 5, 2013 and has traveled 484 million miles (780 million km) to reach this milestone. 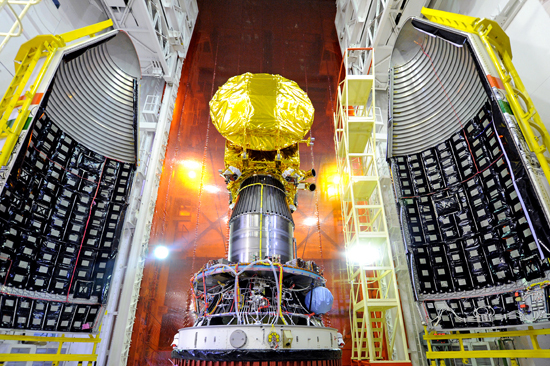 The probe and wider mission, while containing scientific elements, are mostly designed as a proof of concept (like navigation and deep space communication) and interplanetary debut for the Indian space agency. Of particular importance is that many of the mission’s components are homegrown. 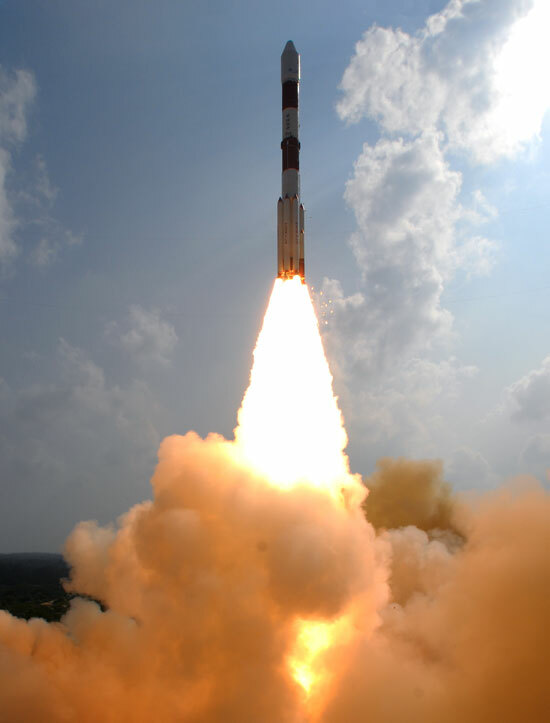 The PSLV brought the Mars Orbiter Mission probe into an elliptic parking orbit on its launch in November 2013, where it spent about a month making a series of altitude jumps. This eventually helped spur the spacecraft into its heliocentric phase. During this element, the probe was slingshot around the sun to intercept Mars. Now put into elliptical orbit around the red planet, the Mars Orbiter Mission probe will be tasked, among other observational data collection jobs, with identifying the source of methane previously recorded in Mars’ atmosphere. Instruments onboard the probe include those for studying the atmosphere, the particle environment, and the surface. The Lyman Alpha Photometer (which measures the planet’s loss of water) and the Methane Sensor for Mars are both atmospheric instruments. The Mars Exospheric Neutral Composition Analyser (MENCA), used for particle analysis, is a mass spectrometer. And the Mass Color Camera (MCC) and the Thermal Infrared Imaging Spectrometer (TIS) will both serve surface observation roles. The successful insertion of the probe into Mars orbit comes two years after then-Prime Minister Manmohan Singh announced the mission in the summer of 2012. The interplanetary satellite places the ISRO in the company of NASA, the European Space Agency, and the Russian Federal Space Agency as the only others to reach Mars. In the context of the hotly contested Indian-Chinese space race, the ISRO’s accomplishment, even if largely an illustration of technical capacity, is another significant ramification of this achievement. In fact, the Indian decision to pursue a Mars mission was made only months after a Chinese Mars probe failed to reach Earth orbit in 2011. The Mars Orbiter Mission is planned to last around six to ten months. congrats everybody for this grand succes. I am Very proud to be an Indian. Hats off to our scientists. I am Very proud to be an Indian. Hats off to our scientists. Every child should be inspired to become a scientist by this historic event. 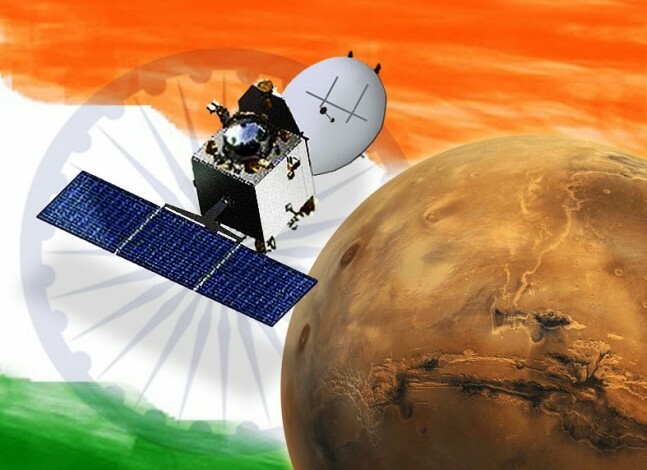 I am proud of INDIAN scientists who achieved the great historic success in mars mission.I am proud to be an INDIAN…! congratulations foy your grand sucses on mars investigation mission. we all proud to be Indian now . wow i am very happy. congrats everybody for this grand succes. congratulations to INDIAN scientists and it is very great moment to INDIA. I am very happy. Now Mars is also democratic.